Have you ever felt overwhelmed by the responsibilities of juggling a career and a family? Parenting is a full-time job and can, many times, be harder than your real one. It’s this anxiety of trying to be all things to all people that can make it seem that the work/life balancing act is unending. Dr. Heather Wittenberg specializes in the development of babies, toddlers, young children — and parents. She offers no-hype, practical advice — rooted in science, and road-tested in her own home as the mother of four young children. She’s helped thousands of parents over the years, and knows that the most common problems with young children — sleep, feeding, potty training and behavior — can be the most difficult ones to solve. There is no “one size fits all” answer to your most challenging parenting questions, and Dr. Heather understands that what may work for one family, may not work for another. By understanding each child’s unique temperament and personality, she finds individualized, workable solutions that help make parenting easier — and more fun. Because it would be nice to have more fun as parents, wouldn’t it? Sometimes it seems that the more we learn about parenting, the more we worry. Dr. Heather sorts out the “help” from the “hype”, giving parents more confidence, less worry, and less guilt — leaving time to enjoy the everyday miracles of our families’ amazing growth. Dr. Heather works from her island home in Hawaii, where she lives with her husband (also a shrink), and their four children. 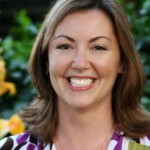 Dr. Heather’s fantastic parenting and child-development advice can be found on her website — babyshrink.com — or through her blog. Hollee Schwartz Temple is a journalist-turned-lawyer-turned-professor at West Virginia University College of Law. She has first-hand experience with the challenges faced by her generation of female lawyers and has successfully melded her desires for professional satisfaction and family time by working in the law school environment. After graduating at the top of her class with a combined bachelor’s and master’s degree from Northwestern University, Hollee headed to Duke University School of Law. She graduated in 1999 and began a four-year stint as a litigation associate at a large Pittsburgh law firm. After her first son was born in 2002, Temple returned to her firm part-time before joining the WVU faculty the next year. An active scholar and speaker, Hollee writes the work/life balance column for the American Bar Association Journal, and has been published in newspapers (including the Miami Herald, Pittsburgh Tribune-Review and Michigan City News-Dispatch), national law reviews and legal writing publications. She recently gave the plenary address at her discipline’s international conference, and has conducted seminars on generational issues and projecting professionalism in writing for large law firms. A faculty associate of the Women’s Studies program, she was recently selected to serve on the internal advisory board of West Virginia University ADVANCE Center, working to improve work/life and women’s issues on campus. In 2008, Hollee celebrated ten years of marriage with John Temple, a journalism professor and author of two narrative non-fiction books. She is constantly amused and amazed by her feisty red-headed sons: Gideon, 8 (who is raising eyebrows around Morgantown by convincing his classmates to root for the rival Pitt Panthers), and Henry, 6 (who once swallowed a penny while in timeout for putting dangerous objects in his mouth). Hollee starts every legal writing class with a blaring music video (she tells her students it’s because she’s the rock star of legal writing but it’s really to wake them up), and she often brings down the house with her karaoke rendition of Dusty Springfield’s Son of a Preacher Man. If she’s not teaching, speaking, grading, writing or hanging with the family, she’s probably doing yoga. Hollee blogs about work/life issues at thenewperfect.com. Her new book, Good Enough Is the New Perfect: Finding Happiness and Success in Modern Motherhood (Harlequin Nonfiction) is available now at your favorite bookstore. *Must be 18 years of age or older to participate. Only one entry per classroom per family allowed. 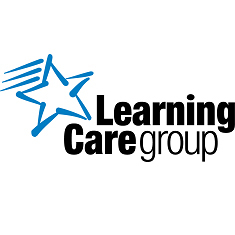 Drawing not valid for Learning Care Group employees or their immediate families. Five (5) Winners for each brand will be determined by a random drawing of all participants for each brand chat, to be held on: June 10 (Childtime); June 10 (The Children’s Courtyard); June 17 (Tutor Time); June 17 (La Petite Academy). Winners will be notified by a posting on the: Childtime Facebook page on June 10, 2011; The Children’s Courtyard Facebook page on June 13, 2011; the Tutor Time Facebook page on June 17, 2011; and on the La Petite Academy Facebook page on June 20, 2011.